I had a great time getting the Raspberry Pi 3 set up with Windows 10 IoT Core, a BME280 temperature sensor, and sending temperature data to Azure IoT Hub. This was my first experience with each of these components, so I was learning as I went. Working in technology, if you’re not used to or not comfortable learning as you go, you might want to take a step back and re-examine why. Its well known that change is common in this field, and we should embrace the unknown as opportunities to learn and grow, not merely stay in our comfort zones. Staying in your comfort zone will get you left quickly behind. I’m reminding myself of this as much as anyone else, but I digress. First off, Windows 10 IoT Core. Mind blown. Extra points for exceeding expectation. This is a really useful operating system geared toward IoT devices, including the Raspberry Pi. I didn’t know what to expect, and was super stoked about how easy it way to set up. I was expecting to have lots of trial and error, set up time, guessing, incompatibility and a steep learning curve. But with Windows 10 IoT core, not only flashing my micro-SD to install it, but setting it up and getting it working with my Raspberry Pi was a breeze. Here’s a quick step by step to get started. You’re good to go now. Slide the SD card into your PI and boot it. The IoT Core Dashboard should recognize your PI on the network, and it will appear on the My Devices tab. If it does not try reading this. When you see the device in the IoT Dashboard, right click it to open a browser window, sign in with the admin user name and password you provided, and you will be interacting with the OS through the Device Portal. Windows 10 IoT Core has some pretty neat tools built in that you can navigate to through the device portal. You can view installed apps, which apps are running, as well as start and stop apps. There are even sample apps you can deploy to your device and run. For this post, I’m going to demonstrate how I was able to use the BME280 with the Raspberry Pi and Windows 10 IoT Core to send temperature data to Azure IoT Hub. One of the great things that attracted me to Winows 10 IoT core was the ability to write C# code to access, interact with and control the various components of the Raspberry Pi. For this example, I was able to use Visual Studio Community Edition, and mix and match some samples I found online either through the sensor vendor or MSDN. So now to the fun part and back to ‘mind blown’ when I was actually writing C#, not Java, not Python, not Node.js, C# to interact with the Pi, I/O pins and everything. We’ve all got our favorite languages, C# happens to be mine. Not only that, but I was able to send messages to the Hub. The IoT Hub is interesting and revolutionary. I say revolutionary because I remember not long ago when such concepts were not available and easily accessible to the masses. There were no (limited) options to send data into a nebulous cloud endpoint, with virtually unlimited scale, and plug in any number of listeners which then can take action via any number of workflows or triggers. There are solutions I’ve built in the past that could have benefited from using the Hub. I wish I could go back and retrofit these solutions using the Hub now. 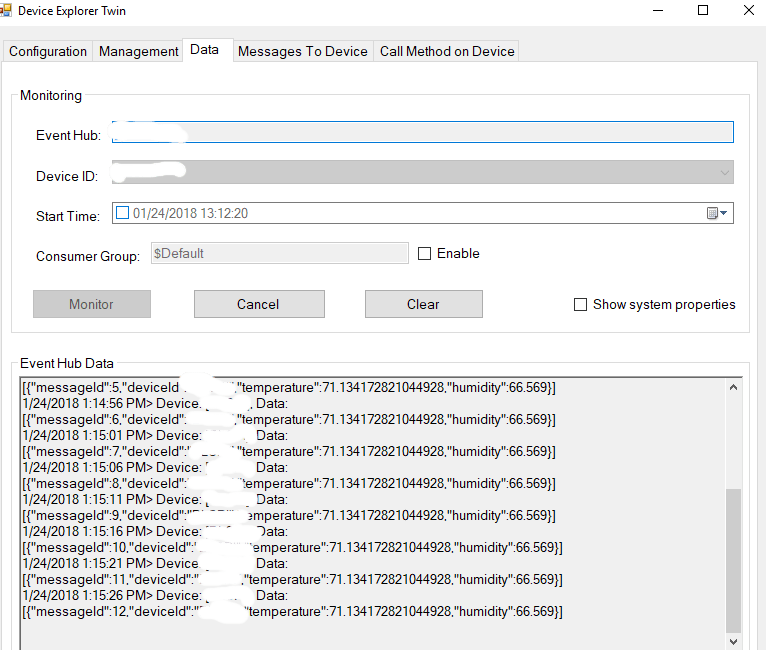 Sending temperature data, or any other data to the IoT hub, and for that matter, the Azure Event Hub kind of implements set and forget in a new way, sort of a send and forget. Get your data up to the cloud and handle it there. The Hub acts as an abstraction layer between ingestion and processing. Moreso, a “component or service that sits between event publishers and event consumers to decouple the production of an event stream from the consumption of those events” This is easily understated and misunderstood. 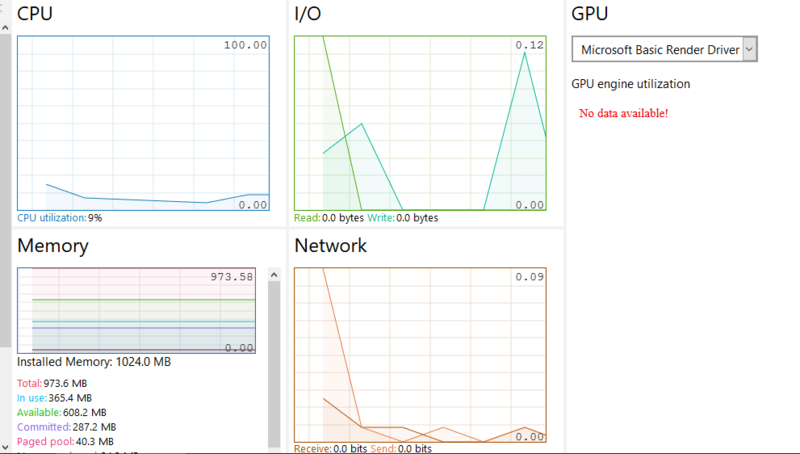 Its truly remarkable, and also made easily available at scale with Azure. Don’t forget to new up your devices client with your hub connection string and device ID, which you get when you set up your hub and register your device. To deploy this app to your device, right click on the project in Visual Studio, then click properties. On the properties page, select the Debug menu item, then set “Remote Machine” as your target device. Set the IP address of your remote machine in the Remote Machine setting. This will deploy the app to the IoT device, and allow you to debug it. So there you have it. Now imagine scaling this to 1000 devices, then building a reporting and monitoring solution from this. Happy coding!